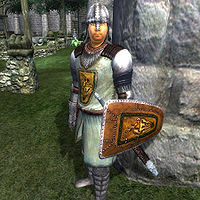 The City Guard are members of the Imperial Legion serving as garrison for the cities of Cyrodiil. They are generally seen walking around the city, or at its gates and the castle. 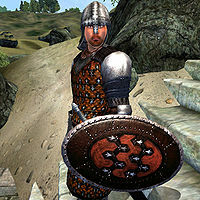 Almost all guards in Cyrodiil are Imperials, although there are a few exceptions who are either Redguards, Nords or Bretons. Like most generic NPCs, they will respawn after being killed. There are a few exceptions, but most guards are not on duty 24 hours a day. 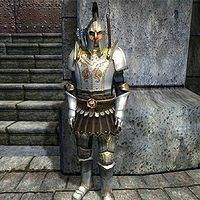 They work in shifts, just as real guards would. 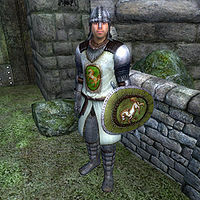 In most cases, a guard spends half a day either at his post or patrolling, then another guard will come to relieve him. He will then go to the nearest guard barracks, chat with other guards, eat and drink, and then finally go to sleep until it's time for his next shift. *Encountered during the A Brotherhood Betrayed quest. 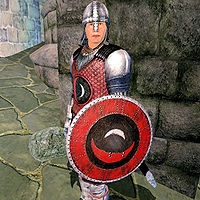 * The guard outside Aldos Othran's House is essential and cannot be killed. 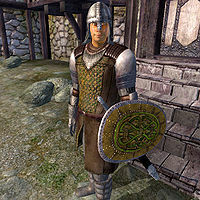 ** There is an erroneous entry in both this guard's daytime and nighttime schedules that would send him to Borba's unexpectedly, however it is never actually used due to other entries always taking priority. *These two work non-stop, they never eat or sleep. 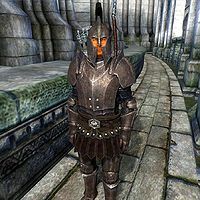 The guards here are Battlemages. In addition to the usual weapon skills, they also have a leveled fire, frost, or shock spell and a Restore Health spell at their disposal. They are easily recognizable by their Mage's Hood. The dead guard has been known to respawn. When he does, his body is virtually immobile, his face is fixed in a deformed expression, and his health is extremely low. While he is capable of moving from one cell to the other, he is unable to walk or fight. "Stop! 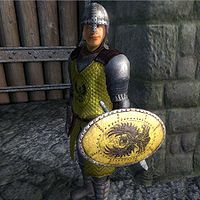 You violated the law. Since you lack the funds to pay the court, you must serve out your sentence. Your stolen goods are now forfeit." "Well now, what do we have here? Caught in the act and no gold to pay your fine? I'm confiscating your stolen goods. Now it's off to jail with ya!" "Break the law on my watch, will ya? I'll be confiscating your stolen goods. Oh, and no gold to pay your fine, hmm? It's off to the lockup then!" "You should have paid the fine!" "Trespassing is against the law! Guards! I'm placing you under arrest!" There are two lines of cut dialogue. 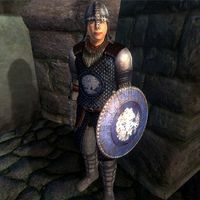 The first would apply when being arrested with an infamy of more than 100, the second allows the Gray Fox to bribe guards. This page was last modified on 6 February 2019, at 18:51.